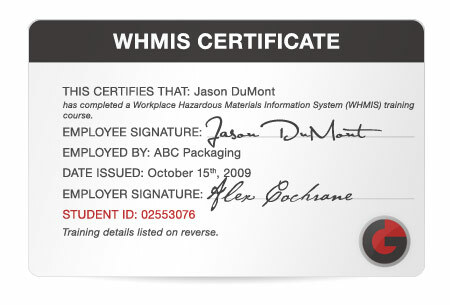 This comprehensive WHMIS Online Certification program has been developed in accordance with the Federal Hazardous Products Act for the training of persons who manufacture, work with or are 'in proximity to' hazardous materials in the workplace. Your training may be paused and resumed at any time, from any computer with an internet connection. Go Safety’s Online H2S Training Course will guide you through all aspects of H2S, from the basic properties of H2S, to information about personal protective equipment as well as operating and rescue procedures. This course will explain in detail what you need to know to remain safe around H2S, emphasize key points and test your knowledge retention after each module. H2S Training is required by many industries including oil and gas, construction and seismic. This Online TDG Certification Program has been developed in accordance with Transport Canada's Dangerous Goods advisory note "Guidelines for Training Criteria for the handling, offering for transport and transporting dangerous goods by road" for the shipping, handling and transportation of dangerous goods by ground. Course contents have been updated in accordance with Transport Canada Regulation updates for 2011. This comprehensive Fall Arrest Protection course focuses on the daily needs of the end user (the employee) for safe work practices in regards to Fall Arrest Protection and systems. This course includes information about the different types of Fall Protection, what personal protective equipment to use, emergency procedures and how to calculate Fall Clearances. Great service, great courses and very helpful when it came to facilitating our needs. We will definitely use Go Safety again when it comes time for refresher training. Thanks for helping us out in a pinch guys! LOVE the work you did on our site specific WHMIS Training!